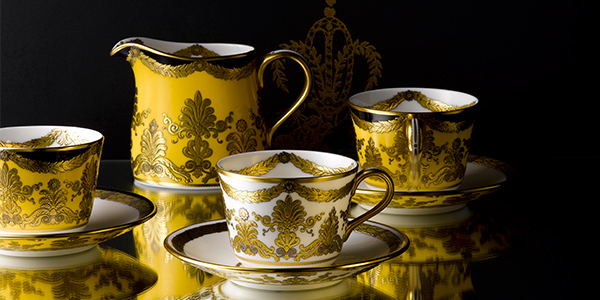 Blog - Explore global tea traditions with Royal Crown Derby. 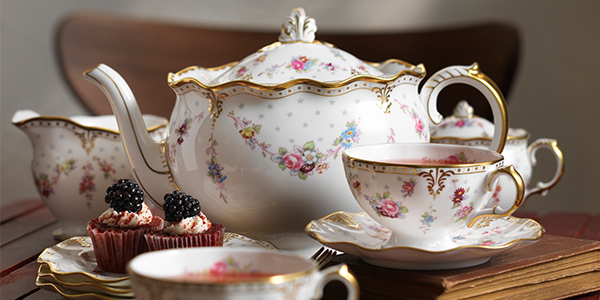 Explore global tea traditions with Royal Crown Derby. Across the globe people have enjoyed drinking tea throughout the centuries, creating special rituals using bespoke blends of tea from Japanese tea drinking ceremonies to the social occasion that is an English Afternoon tea. 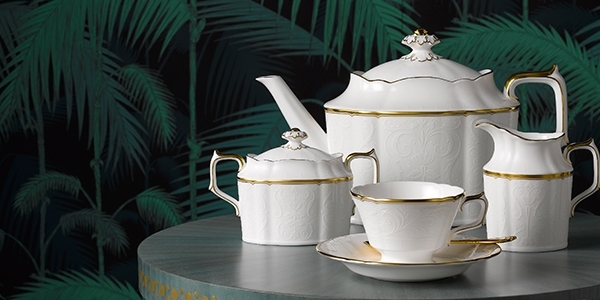 Explore a wonderful selection of these time-honoured tea drinking traditions from around the world with Royal Crown Derby. Traditionally in Russia tea was taken during social events, friends and family members would gather around a table to serve and enjoy freshly brewed tea creating a sense of comfort, now synonymous with drinking tea today. A traditional Russian tea custom consists of loose leaf tea usually with a blend of black tea is brewed in a porcelain pot and placed upon a samovar, a heated metal container filled with boiling water. The water from the samovar is used to keep the brewed tea warm. Once brewed, the tea is served in a porcelain teacup with a thin slice of lemon. Historically, presented with the tea would be a selection of baked pies and a stack of pancakes with several varieties of jam, honey and condensed milk, a fulfilling way to enjoy a cup of tea as a social gathering with friends and family. In China, tea was considered as a medicinal staple at first for both individual illnesses, general health and wellbeing, and is still wildly used today in traditional Chinese medicine. Tea was quickly adopted into daily life and began to be enjoyed for the simple pleasure of drinking tea. Teahouses sprung up all over the country with people of all ages coming together to drink tea as a social ritual. Today in China, while the teahouses still retain their popularity as gathering places, the importance of tea in daily life is evident at the table at any time of day in the home and in restaurants. Besides mealtime, tea is served to welcome guests as a form of respect, and is a long-held tradition in all classes. The Chinese still practice a form of tea ceremony called Gong Fu, the tea master preparing the tea for the group is considered an artist. The styles for pouring the water vary depending on each tea master, and many devote their time to perfecting the difficult and artistic manoeuvres for this very special ceremony. A clay Yi-Xing pot and several small teacups are traditionally used for this tea ceremony, a tea sink or shallow bowl for draining water into as well as a few bamboo tools for handling the hot objects. Some tea ceremony sets also include a tea pet or tea toy, they are small clay figures that are moulded into many different shapes representing animals, mythical creatures and the zodiac the tea master can use these to judge the water for the tea has reached the optimum temperature, to do this the tea master soaks the tea toy in cold water to fill the mould and they then pour hot water over the toy if water spurts out of the toy the water is ready to brew the tea. The tea master will arrange the teapot and cups in a circular fashion over the tea sink or in the bowl, and pour hot water into each to rinse the objects and to warm them so that the temperature of the tea is more consistent. This rinsed water is discarded, and then a generous helping of tea leaves, usually Oolong, is measured into the pot. More hot water is then poured into the pot and the tea leaves will begin steeping. Every infusion in the Gong Fu ceremony is very quick, around 30 seconds, though the method for timing is never exactly precise. Then the tea master will begin pouring in a continuous flow to each of the teacups, a little at a time, resulting in each person having the equal amount and strength of tea in his or her cup. After enjoying this first round of tea, the leaves may be resteeped for many more infusions. Outside of China, today Britain is one of the largest consumers of tea in the world. It was introduced in the 17th century from China by Dutch and Portuguese traders, it was seen as a luxury at the time which only the aristocracy could afford and was meticulously guarded by the ladies of the house being kept in locked cupboards and only served to selected guests. By the 19th century tea had grown tremendously in popularity among the higher classes and afternoon tea became the social event to attend. Afternoon Tea is a typically light meal eaten between 3.30pm and 5pm, to stave hunger between lunchtime and the evening meal. It was said to be invented by Lady Anna Maria Russell, 7thDuchess of Bedford who ate bread, butter and cake with her cup of tea, served in a fine bone china cup in the afternoon to help with the ‘sinking feeling’ she usually felt around 4pm. Realising this was the perfect refreshment for this time of day, her friends began to join her and invite their own guests to afternoon tea. It quickly grew into a wonderful formal affair in which ladies dressed especially for the occasion in tea dresses, adorning hats and gloves to enjoy their tea with friends, creating its own set of etiquette do’s and don’ts. There are many variations of taking tea within Britain but none as traditional as afternoon tea with many now enjoying this wonderful experience as a treat. Tea was first served in Japan to monks, priests and the ruling classes in special services within Buddhist temples. These rituals were first introduced in the 8th century and have gradually been adapted and incorporated into Japanese culture over hundreds of years to create the traditional tea ceremony which is world-renowned in Japanese culture today. The Japanese tea ceremony is a carefully choreographed traditional way of preparing, serving and drinking matcha, powered green tea. Known as Chanoyu, Sado or Ocha in Japanese culture, the ceremony is very highly influenced by the principles of Zen Buddhism. There are two ways of preparing the matcha tea for the ceremony, usucha and koicha. Koicha is a rich, thick blend of matcha, kneaded with about three times as much tea as usucha. Uscucha is prepared by whipping together hot water and matcha with a tea whisk. Usucha is usually served in individual bowls, while a bowl of koicha tea is shared among several guests. The most crucial part of the ceremony is the preparation and drinking of the koicha, followed by the usucha, it may also involve the serving of usucha tea and confections, in effect creating a more relaxed setting. There are many different traditional pieces of equipment used in the Japanese tea ceremony, known as chadogu including tea bowls (chawan), tea caddies (natsume) and tea whisks (chasen). Each tool is handled very carefully with cleaning and care becoming a ritual in itself. The Japanese tea ceremony depends on a number of variations including the host leading the ceremony, the time of day, season and venue. Guests usually arrive earlier than the appointed time and enter the waiting room, change into tabi or traditional Japanese socks, guests then wash their hands and rinse their mouth with water using a stone basin. They then take their seats in order of status, once everyone is seated, the host is alerted by the sound of a closing door. The ceremony begins with a charcoal fire being laid to heat the water, guests are served food, followed by a sweet edible paper called kaishi. After the meal, the guests take a break in the waiting room and perform the cleansing ritual again before sitting in their original positions. The host performs a cleansing ritual on the chadogu in front of the guests, then serves the tea to each of the guests exchanging bows. The guest then rotates the bowl to avoid drinking from the front, takes a sip and complements the host. After a few sips, the guest then wipes clean the rim of the bowl and passes onto the next guest. Once everyone has taken a sip from the bowl, the host then adds more charcoal to the fire and brings a selection of confectionary and a smoking set into the room for guests to enjoy. They then prepare individual bowls of tea for each guest, after all the guests have finished their tea, the host cleans the chadogu and allows the guest to take a look at the individual tools. Royal Crown Derby have a stunning range of teaware patterns perfect to enjoy a luxury cup of tea from fine bone china enjoyed by many cultures across the globe. 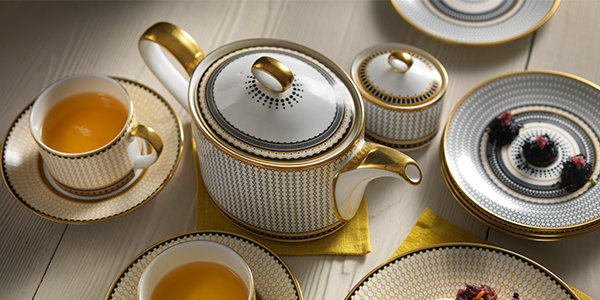 Shop our wonderful teaware ranges to bring style into your tea drinking here.